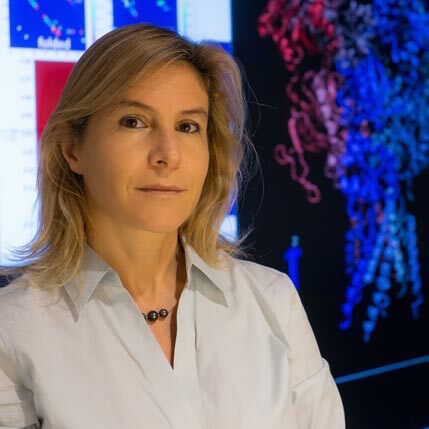 Cecilia Clementi is an expert in computer simulation of biomolecules and holds a professorship in Chemistry and Chemical and Biomolecular Engineering at Rice University in Houston, Texas. Since 2017 Cecilia Clementi conducts her research in the area of multi scale modeling of biophysical systems as an Einstein Visiting Fellow at Freie Universität Berlin. The aim of the study is to examine mechanisms of membrane fusions, as well as the formation of synaptic protein architectures.